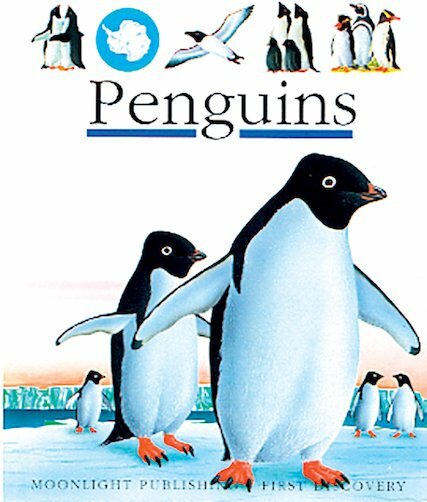 Learn all about a fascinating bird of colder climates in an exciting first nature book, full of transparent overlay pages that tell the story of penguins in tantalising visual stages. What are these strange animals? Are they birds or fish? Watch penguins swim with seals in icy water, holding their breath and catching tasty sea-snacks! As children read through the story, the magical acetate pages turn over to transform each picture, revealing an unexpected side of things. Combining lots of simple facts with beautiful colour illustrations, this sturdy spiral-bound hardback is beautifully written and produced.